The teen told police he became frustrated with the child after he repeatedly threw up on him. AUSTIN, Texas — A 19-year-old is accused of severely injuring his girlfriend's toddler after he said the child repeatedly threw up on him. Police said they were called to an assisted living facility where a mother who worked there said her child was unresponsive. When an officer arrived, he said the child appeared to be having a seizure. The officer said he noticed a small cut under the child's left eye and a bump on the child's forehead. The child's mother told police that her boyfriend, 19-year-old Daryus Bowser, had driven her and the child to her work. "After some time, Daryus, called her back to the car because the victim was acting abnormal, or lethargic," the affidavit said. The mother thought the heat was getting to the boy, so they turned on the air conditioning in the car and gave him some water. That seemed to help, so the mother went back to work. Later, Bowser again summoned her to the car where the toddler was unresponsive. That's when they called 9-1-1. Doctors said the boy had severe head trauma and that both of his retinas were detached. According to the affidavit, the boy needed surgery immediately to relieve pressure on the brain. Doctors also noticed that the boy had rib fractures that were several weeks old and "what appeared to be chronic fractures in the feet of the victim," the affidavit said. When police officers spoke with Bowser about what happened, he first said that after dropping off the mother, he took the child to a friend's house where he started vomiting. During questioning at a different time, Bowser told officers the boy was hurt after a crash that caused the toddler to fly into the console of the car. On Feb. 5, Bowser was called in for another interview, where he said he lied about the incident in the car. Daryus Bowser is accused of severely injuring a toddler. He said that on the day the child was hurt, he never left the parking lot of his girlfriend's work. He told officers that he was in his car in the parking lot, playing with the child who was facing him on his lap. Bowser said the toddler started vomiting on him, and he got frustrated. He allegedly threw the boy to the other side of the car, causing the victim's head and face to hit the passenger side door. He said he then gave the child some apple juice, but minutes later, the child became unresponsive. He was booked Feb. 5. 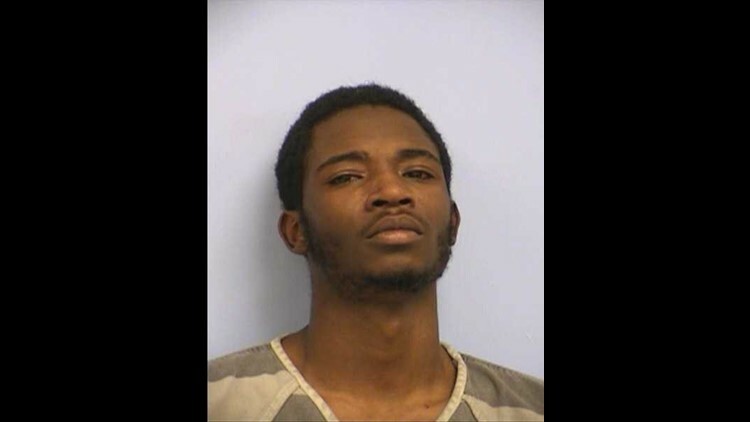 According to the affidavit, while in the Travis County Jail, Bowser made a phone call to someone presumed to be his mother and said, "I didn't mean to hurt him Momma." Bowser is currently in jail with a $100,000 bond for injury to a child with intent to cause serious bodily injury or serious mental deficiency, online records show.